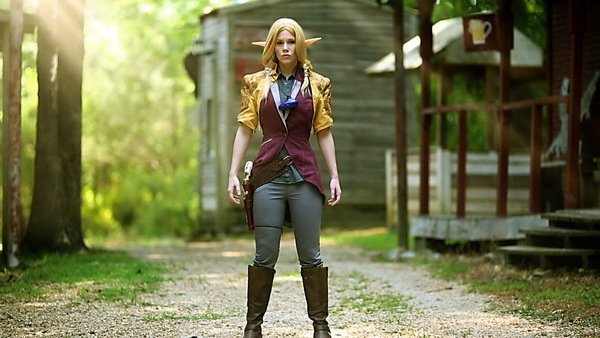 The Legend of Zelda’s popularity and fan following isn’t defined by boundaries: new short film Hang Em Hyrule tries to put the main characters from the series inside a Wild West setting. Portraying Link as an oppressed Cowboy while Zelda is seen as an defiant Cowgirl, Ganon plays the role of the big bad evil Cowboy. All the characters come to life inside a scene which ends in a way likely to strike a chord with Legend of Zelda fans. Although the short-film in itself is pretty cool, what grabs your attention the most are the western inspired cosplay costumes that the characters are wearing. All of them were designed and crafted by Volante Design.